London’s growth in the nineteenth century created a public-health crisis: its increasing populatoin drawing water and emptying its draining into the River Thames caused epidemics which only diminished after a controversial campaign to provide clean water-supply and a system of main drainage. The Metropolitan Board of Works’ engineer, Joseph Bazalgette, improved the physical appearance and quality of life in London more than any other individual in his generation. Most surprising of these structures are the monumental and elaborately decorated pumping stations, some of which survived the age of steam to be preserved in working order or adapted to fresh uses. 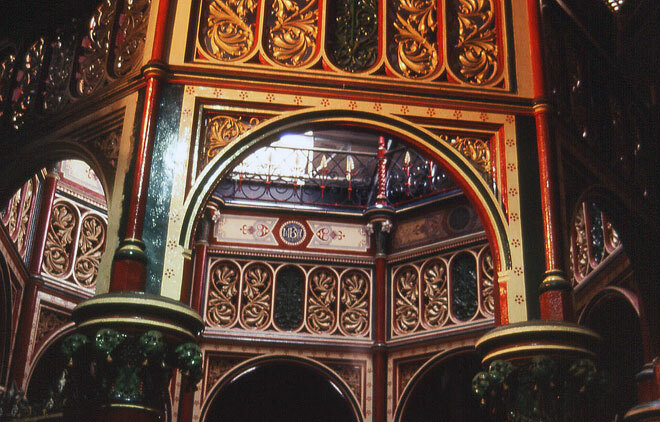 This lecture illustrates, among others, the two major London pumping stations, Abbey Mills (1864) and Crossness (1865), and the unusually elaborate installation at Papplewick, Nottinghamshire (1882-6).